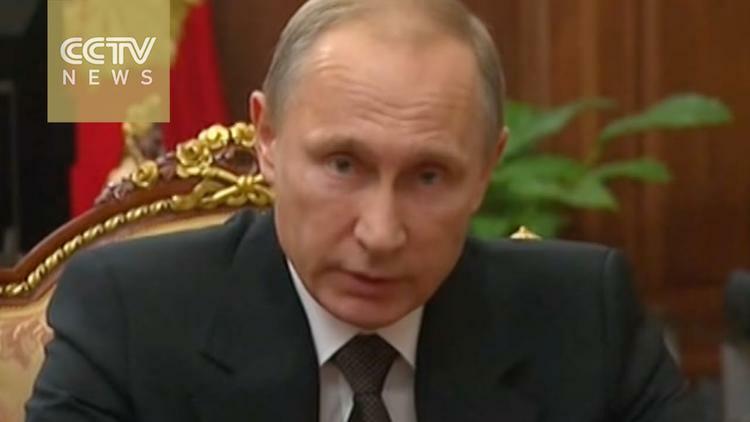 Grand Alliance against ISIL: Can Putin come in from the Cold? He wasn’t ostracized. He wasn’t isolated. And certainly nobody threatened to shirtfront him. In the space of a year, Vladimir Putin has gone from being the pariah of Brisbane to being the star of Antalya. The contrast between last year’s G20 summit in Australia and this year’s in Turkey couldn’t have been sharper. Then, Putin was browbeaten by Western leaders for annexing Crimea and supporting separatists in Donbas. Now, everybody wants to talk to him about teaming up to fight Islamic State militants. Then, Putin’s humiliating early exit from the summit made international headlines. Now, everybody is talking about that photo of him huddling with U.S. President Barack Obama. At the Brisbane summit, which took place months after the downing of Flight MH17, the vibe was all about tension between Russia and the West. At the Antalya summit, which came just days after IS’s terror attacks in Paris, it was all about unity. “Putin has changed the G20 agenda from being dominated by Ukraine to having been taken over by Syria,” Anders Aslund, a senior fellow at the Atlantic Council, wrote recently. So is Putin about to get what he has always wanted? Is he now a step closer to forging that “broad international coalition against terrorism” he called for in his speech to the UN General Assembly in September? And all this was no accident. Putin wants to relive 1945 and exorcise 1991. He wants to resurrect the glory of the Soviet victory in World War II; and he wants to bury the humiliation of the Soviet defeat in the Cold War. He wants a temporary alliance of convenience with the West in Syria, one that will end Moscow’s international isolation and get sanctions lifted. Then he wants a modern version of the Yalta conference, in which Russia and other great powers will divide up the world into spheres of influence. And of course he wants a free hand in the former Soviet space. “Russia’s war with the West will not end as long as these new principles are not introduced by ‘internationally binding commitment,'” Slawomir Debski, editor in chief of Intersection, wrote in a recent column. Putin clearly thinks that the November 13 Paris attacks give him a window of opportunity to advance these goals. It is probably no accident that just days after the Paris attacks, and shortly after Hollande’s call for unity, Moscow finally acknowledged what it had been denying for weeks: that the October 31 Metrojet crash in Egypt was an act of terrorism. All of this has opponents of the Putin regime duly alarmed. A Russo-Western alliance in Syria would be “morally repugnant, strategically disastrous, and entirely unnecessary,” self-exiled Russian opposition leader and former world chess champion Garry Kasparov, author ofthe book Winter Is Coming: Why Vladimir Putin And The Enemies Of The Free World Must Be Stopped, wrote in The Wall Street Journal. “President Obama and other Western leaders desperate to resolve the conflict in Syria should keep in mind that the enemy of your enemy can also be your enemy,” Kasparov wrote. So far, Moscow’s rapprochement with the West has been been confined to Syria — and mostly confined to optics and rhetoric. French and Russian warplanes have conducted air strikes in the IS stronghold of Raqqa and Putin has ordered the commander of the battleship Moskva to treat France as an ally. But huge differences remain over the future of Syrian President Bashar al-Assad and other Western powers have not exactly been rushing into Moscow’s arms. And despite fears in Kyiv that Ukraine might would get thrown under the bus, there is no evidence of the West softening its stand against Russia’s annexation of Crimea and intervention in Donbas. There have been no moves to lift — or even ease — sanctions. And there has certainly been no indication that anybody is prepared to give Russia a free hand in the former Soviet Union. “A Western alliance with Putin against Islamic State, if it ever comes to pass, won’t be much more than a situational military alliance. There will be no political detente,” Bershidsky wrote.